Baranof's custom charter ideas and suggestions. "It's human nature to stretch, to go, to see, to understand. Exploration is not a choice really; it's an imperative." Ketchikan has an enormous amount of wilderness and maritime activities available. The biggest hurdle our clients face is enjoying as many experiences as they can in the time they have with us. Our Private Charter program is an effort to maximize our guests' efficient use of time in Ketchikan through careful planning, personalization, and realistically managed expectations. On the previous page, we suggest five different charter themes that we've based off previous customer feedback. Normally our guests choose either Fishing Charter, Misty Fjords Sightseeing, Wildlife Viewing, Overnight Camping, or the Cooking Your Catch, then work with our staff to customize it to their particular vision for the day. Don't underestimate our crews ability to help identify what's out there, and help you choose wisely; give us a call . With all our Ketchikan area has to offer, it's impossible to provide a quality experience that includes every option in a single day. If you're in town for a while, we suggest that you make a list of everything you want to do, then work with us on scheduling how much time you'd like to dedicate to each activity. If you're in town for a single day, a prioritized list based off one of our existing charter options, along with calling and speaking to us directly, is the best route. If there is something you're interested in that isn't listed here, don't be afraid to ask; we pride ourselves on creating authentic, custom-designed experiences. The options listed below are the most common ideas that Private Charter fishermen have come up with for their day on the water. We've listed "minimum times" to sort of ballpark a time frame that gives us the most chance for success, though there is some overlap. For instance, running to an area with a lot of wildlife to do your salmon fishing might only add an hour to a standard salmon fishing excursion and accomplish multiple goals. 4 hr. Min. Spend the day hauling in salmon. The time of year is a huge factor in which salmon species are available, so keep that in mind when booking your tour. 4 hr. Min. Usually found farther from our favorite salmon spots, bottom fishing requires a little more run time on the boat. 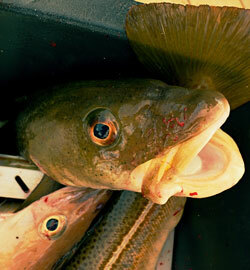 Halibut, lingcod, yelloweye, and rockfish are local bottom fishing favorites. .5 - 6 hr. While you can combine wildlife viewing with a fishing trip, taking the extra time to seek out bear, eagles, whales, and other marine mammals can be worth the trip on its own merits. 6 hr. Min. Most everyone that comes to Ketchikan is here for the Misty Fjords or fishing. A private tour of this breathtaking national monument could easily be the high point of your Alaska adventure. Time Varies Spending a few nights at a remote cabin and enjoying exclusive fishing could be your idea of a perfect vacation. We'll handle the logistics while you enjoy your time off the grid. 4 or 6 hr. Min. Whether aboard our 30 ft. cabin cruiser, at a private table in the Alaska Fish House, or out at our renowned wilderness campsite, cooking a meal featuring your catch within hours of pulling it out of the water is a rewarding experience. Depending on your time frame and weather considerations one or a few of the options below can be added to a charter. Let us know what you'd be interested in should conditions permit, and we'll bring along the special gear. 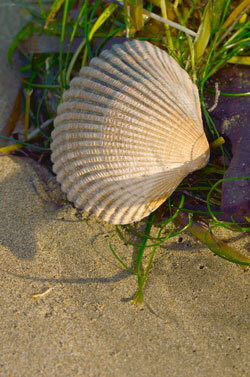 You never know what the Pacific will wash ashore, so planning on an hour for lunch and treasure hunting can be an exciting addition to your day of fishing or sightseeing. Highly recommended for those traveling with their kids. Head out for fishing or sightseeing, set a pot on the way, pull it up on the way back, and enjoy a shellfish meal at our remote campsite, or the Alaska Fish House..
Folks that sportfish for black cod do it out of epicurean passion. The investment in special gear and effort required to locate and land this delicacy isn't easily understood by those that haven't tasted it. This is a bit of a strange one. If you're into pulling up a particular type of fish just because most people haven't, hopping on a boat for some night squid jigging with local angler William Hink as a personal instructor should be right up your alley. We’re here to help you brainstorm through the options and create a custom Private Charter. We want to make your Alaskan experience the most memorable possible for you and your family, and that is exactly what a Private Charter is all about. More experienced anglers are welcome to opt for light-tackle gear at no extra charge. Normally outfitted with sturdier poles to ensure I higher success rate of landing fish once hooked, Baranof provides lighter tackle for those that enjoy a more vigorous fight. Whichever tackle you prefer, your captain will instruct you in the fishing techniques, such as mooching and jigging, that we find the most successful around here. For some of us, real fishing is done with a spin-caster. Whether casting, trolling, mooching, etc. is the best method for killing salmon is the eternal question, but we've got the gear if you want to add your voice to that discussion. If the conditions are right, taking an hour to pull up some Black cod is well worth your time. Highly dependent on sea and weather conditions, fishing for this delicacy can be a rewarding aside to your day of salmon or halibut fishing. Considered by some to be the best tasting fish they've ever had due to their high oil content, Black Cod are targeted up to 1,400' below the surface. Let us know if this is something you'd like to dedicate a little time to should conditions allow, and we'll bring along the electric reels. 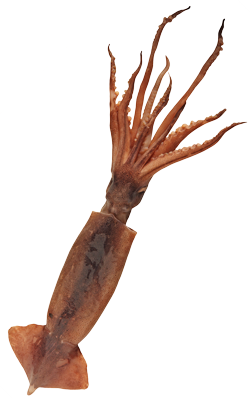 If you'd like to dedicate some time to pulling up squid, either for the photos, story, or eating, we can make that happen. Local angler Will Hink will hop on board as a personal instructor to show you how it's done. You never know what the Pacific will wash ashore, so planning on an hour for lunch and treasure hunting can be an exciting addition to your day of fishing or sightseeing. Whether it's a personal passion of yours, or you have some energetic youths that might benefit from some time running around a remote Alaskan strand, we can schedule a beach visit during your charter. Spot shrimp and Dungeness crab are local favorites for those with the means of catching them. 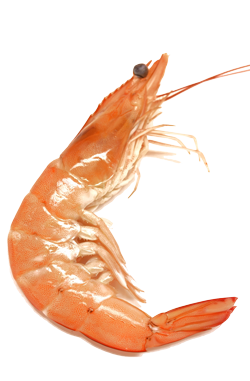 While shrimp tend to be fished deeper and commonly require a shrimp pot-puller, Dungies can be found shallow enough to require nothing more than some bait and a pot. The crab is delicious, but the spot shrimp are a bit of a delicacy compared to what many of us are used to. Found along the rocky bottom of Southeast, spot shrimp don't develop the "mud vein" that is indicative of other species found on primarily sedimentary ocean floors. Long story short, dropping a pot for either our cold-water shellfish is worth the time and effort.